...In Under 60 Seconds, With Just 1 Click! 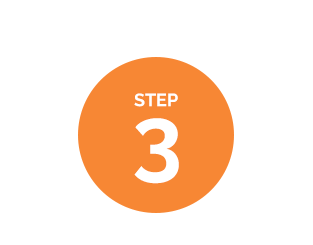 Get winning product ideas for upsells, crossells and downsells... triple your income with profitable funnels! Save weeks of painful AliExpress research... no more spreadsheets, word docs or notepads. 100% Cloud based. Works from anywhere with an internet connection, on any device. ... in seconds from now! products from AliExpress with ALL their details. 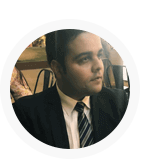 Use filters and sort out the perfect product for yourself and start selling it on your ecommerce stores. Or create Facebook Ad Images using 100+ templates in just a click and add all these products to your Shopify stores in a click, automatically! Uncover the hidden niches and trends on AliExpress that nobody else can see! No more mind-numbing research, endless spreadsheets, word docs or notepads. Just tap a button, then sit back and watch this breakthrough software uncover thousands of profitable niches, hidden trends, surefire products and suppliers you can trust! ..not in weeks or months...... but in SECONDS instead! Cloud based: Works on ANY device, nothing to install or update. Products Waiting For You To Sell, Right Now! 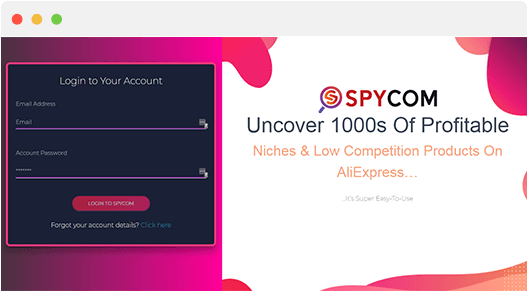 Simply enter a keyword and SpyCom will instantly reveal red hot niches on AliExpress. 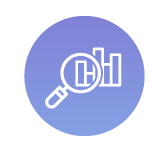 Save weeks of stressful research and quickly discover profitable niches and hidden trends with way less competition! without hiring copywriters or advertising experts... and without any additional software! Save days of boring research and tap into hidden niches where there’s way less competition, cheaper Facebook ads and bags of easy cash with your name on it! and uncover new products and opportunities, month after month. complaints, supplier issues, availability or discounted stock. 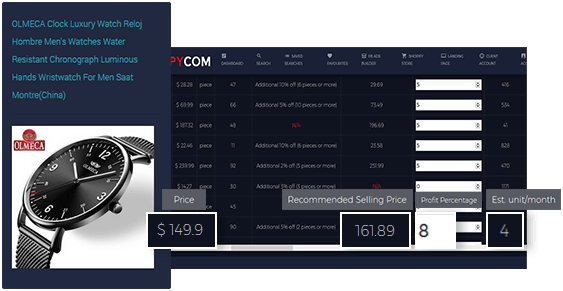 SpyCom will automatically show you top selling products that are related to your chosen products and perfect for your upsells, downsells, crossells and testing against each other. 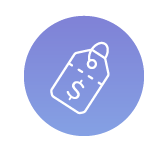 Turn a single sale into multiple sales with your own product funnel, packed with best—selling, highly related products that your customers buy like crazy. Quickly and easily export your search results into a PDF, containing every single detail about the product... so you can view them later. 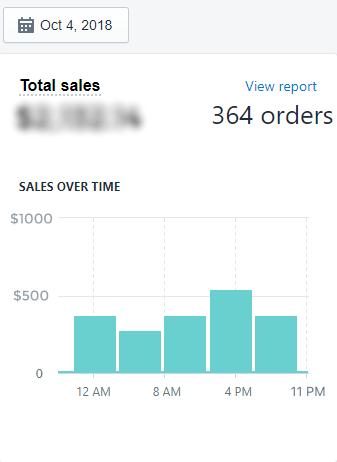 Also, you can use these reports with your eCommerce clients... showing the products they should be selling, at what price, and even where to source them! SpyCom is 100% cloud-based. There’s nothing to download, install or configure. 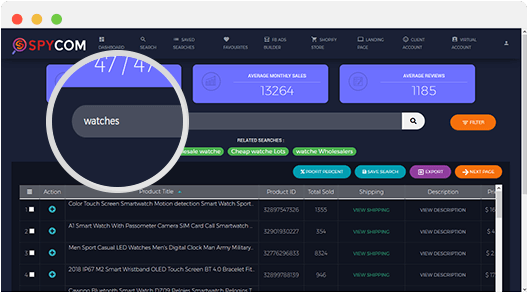 Simply login to your dashboard and start uncovering the hidden gold on AliExpress from anywhere in the world, in seconds from now! SpyCom is a 100% whitehat research app. 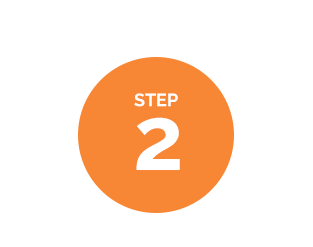 It’s fully compliant with all TOS and doesn’t violate any policies or rules, making sure your business is safe, forever. 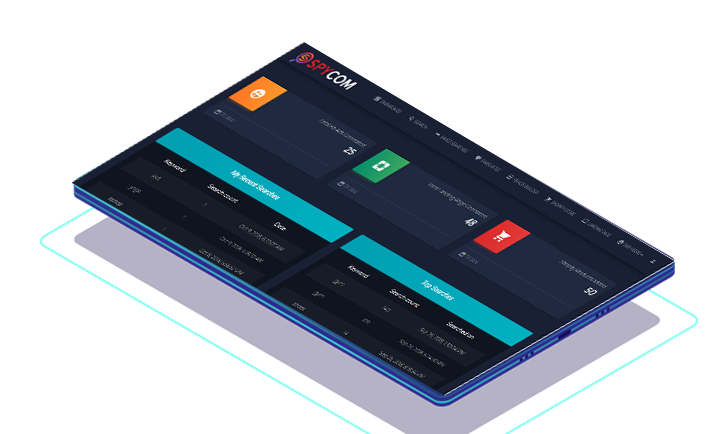 With over 100+ beta testers and 4 months in research and development, SpyCom is a stable product that is here to stay...... helping you bring in easy cash from your stores, saving you hours of backbreaking research work, and avoiding months of trial and error with failed products or “dud” niches. We will continue to support SpyCom and ensure it continues to get results and work smoothly for you, year after year. 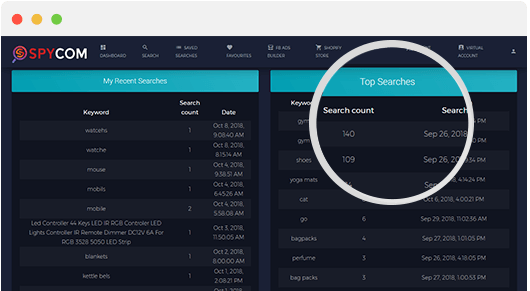 Run the niche finder tool to uncover hidden niches with hardly any competition, cheap traffic and tons of cash waiting for you to collect. Never waste time and money on dud products that barely break even. See the best-selling products that have the highest profit margins and put more sales in your bucket. 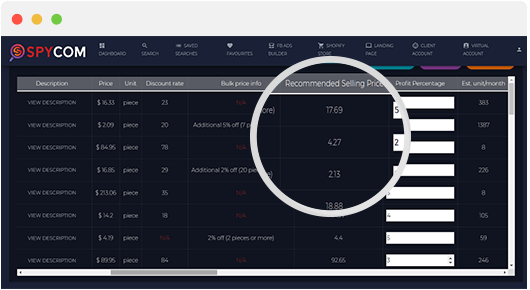 Squeeze maximum cash from every sale with an optimized price point, based on current market data. Don’t get screwed and destroy your reputation with shady suppliers, or suppliers who make you jump through hoops. 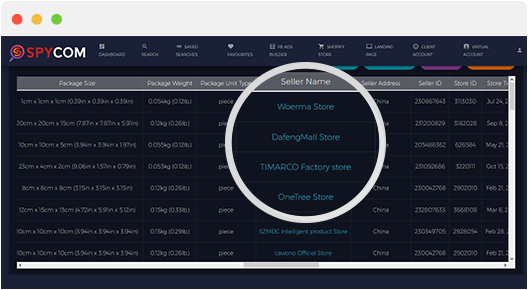 Find the best supplier for your product in seconds instead. 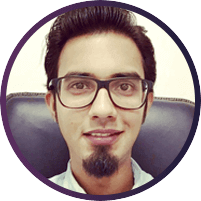 Quickly convert AliExpress product listings into traffic—getting Facebook ads, in seconds from now! … when even more money will be spent! 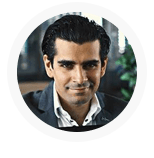 surefire products that thousands of people will want to buy from you. To Sell Is Not Easy! products and suppliers online… but it’s so freakin’ hard to use! is like trying to find a needle in a haystack. AliExpress doesn’t help you find a niche or hidden trend. … and thousands of suppliers offering you the same products, with endless pricing options and deals. … and that's just for one product! You could waste WEEKS trawling through AliExpress trying to find the perfect niche, product, price point and supplier combination. … but why waste your money? 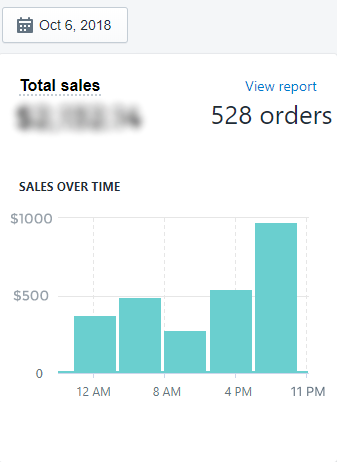 If you want to make six figures with your store, you need to pick winning products that are high profit, low competition and priced correctly. Save Weeks Of Painful AliExpress Research. 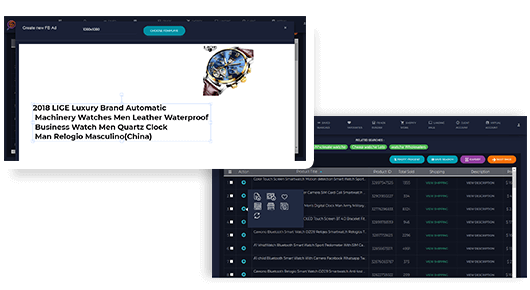 Uncover the most profitable, low competition eCommerce niches and products on AliExpress, all in a single click. No more spreadsheets, word docs or notepads! Drive Traffic Quickly & Easily. Turn winning AliExpress products into powerful Facebook ads that rake in traffic... titles, descriptions, pricing and images... in a single click! Save Thousands Of Dollars. Don't waste another penny on VA's, eCom coaches or courses. Avoid Costly Trial & Error. 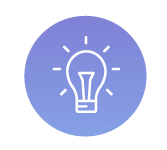 Find winning product ideas, perfect price points and reliable suppliers from day one to avoid the costly mistakes others are making! SpyCom To Create A Six-Figure Income? Can You Afford To Ignore This? Can you create a profitable store, and find profitable, low competition products without SpyCom? Yes, but it’s not easy. In fact, you could spend days, weeks or months trying to find products that are selling well… have low competition… and figuring out the best supplier deal. 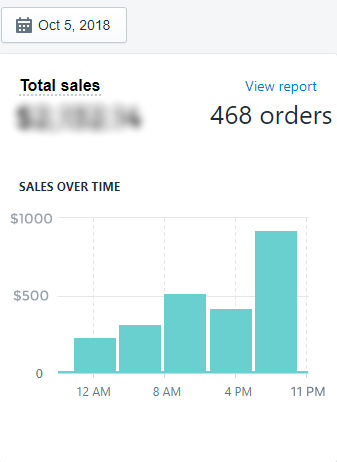 And that’s before you’ve created your store listing for that product, built your Facebook ad, or decided how much to sell the item for..
And that’s just one product! 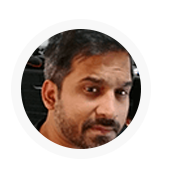 … trying to figure out what to sell on AliExpress? No wonder so many store owners quit. … and even convert the AliExpress listing into a traffic—getting Facebook ad in seconds. … without the usual weeks of backbreaking research and guesswork. 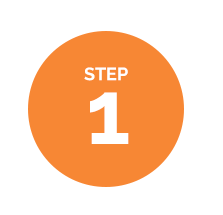 … and quickly start selling those products in minutes from now… faster and easier than ever before. 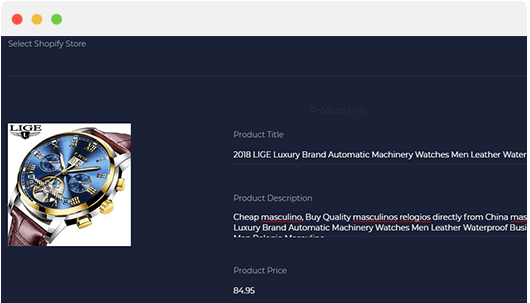 It’s time to remove the headaches and guesswork when trying to find profitable niches and products on AliExpress. 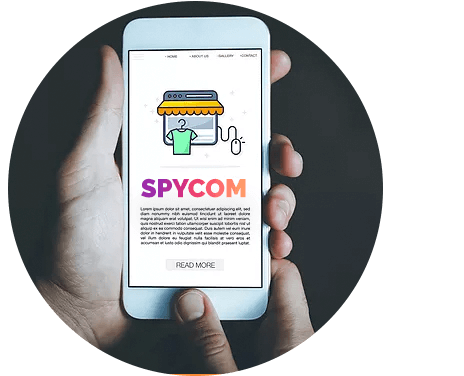 Get instant access to SpyCom today to uncover the niches, trends and red-hot products you can start selling tonight! We cannot continue to offer SpyCom at such a low price for much longer. There’s a ton of running costs needed to maintain such a powerful piece of software and offer rock solid support. That’s why we’re raising the price any moment now… and without warning… to cover our costs. This super low deal is strictly limited to the launch period only… and will soon be closed to the public, forever. … and we’re not about to destroy years of building that reputation by making false claims or selling crappy software. … allowing you to find profitable products and niches in minutes…. … or you don’t pay a single penny. 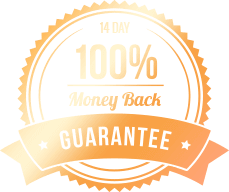 Give it a shot for the next 14 days and see the magic for yourself. If you don’t love SpyCom, we demand you request a full, immediate refund… with no questions asked. So, you have nothing to lose, but a world of traffic, leads and sales waiting for you, just moments away. takes just 60 seconds to complete your order. address. It couldn’t be easier! 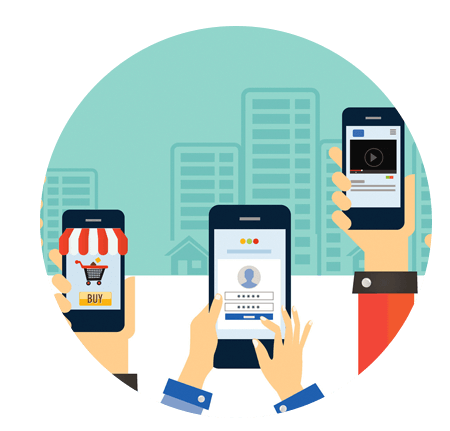 … and turn each AliExpress listing into a Facebook ad, ready to drive traffic to your store in seconds from now. Get it now, before it’s too late! Q. Do I really need to use SpyCom to be successful? Ans. — No, but it helps… massively. It can take weeks to find a profitable product on AliExpress… especially a product that doesn’t have much competition. Ans. 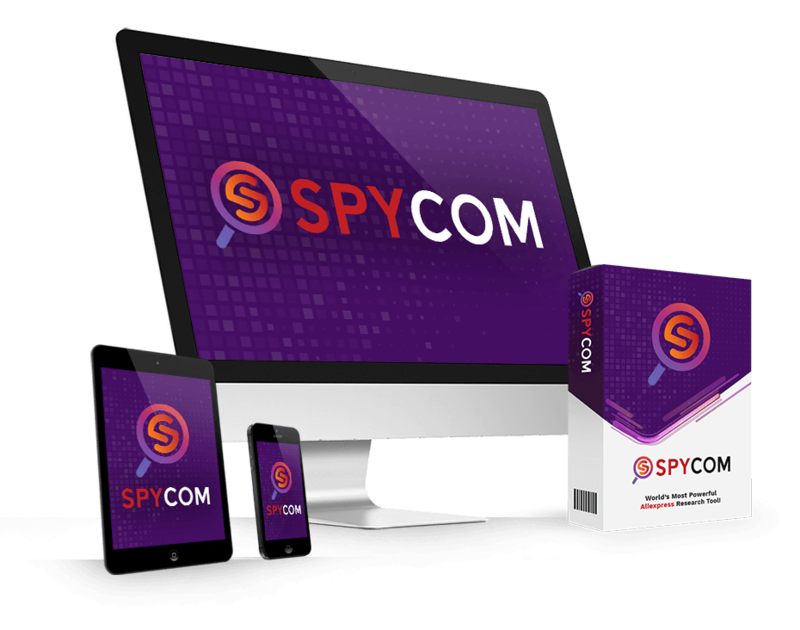 — Using breakthrough "AliSpy" technology, SpyCom instantly uncovers hugely profitable untapped niches, best-selling products and the most reliable suppliers... and even the perfect price to sell each product... in just seconds! Then, in a single tap or click, turn any AliExpress listing into your own Facebook ad, ready to get traffic and sales for your Shopify store or eBay store tonight! There’s no technical skills or creativity needed. 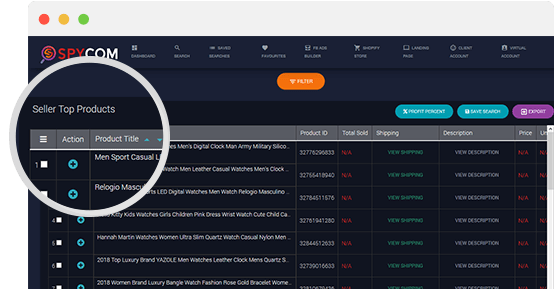 If you can push a button, you can uncover golden products on AliExpress in seconds from now! Q. How is SpyCom different to other methods or tools? Ans. — First, there’s no other tool that does what SpyCom does. 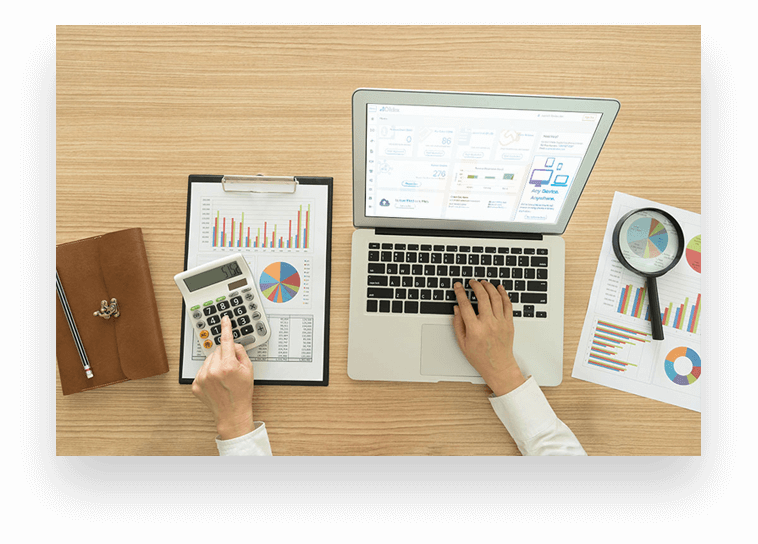 In fact, most store sellers are forced to manually research products using multiple online tools… juggling spreadsheets and taking notes… trying to cross check and calculate the numbers by hand. Screw that! Q. Do you provide support and updates? Ans. — Of course! We’ve designed SpyCom to be super easy to use, but if there’s ever an issue, we’re right here. We don’t hide behind huge customer service teams. Just shoot us an email and we’ll fix you up! We’ll also let you know if and when new updates are available, and offer them to you for free, as a valued customer! Q. Will this work on Mac and PC? Ans. 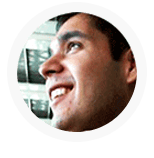 — Yep, it’s fully could based, so it doesn’t matter what operating system of device you’re using. SpyCom is easy to use and works perfectly, every time. Guaranteed.